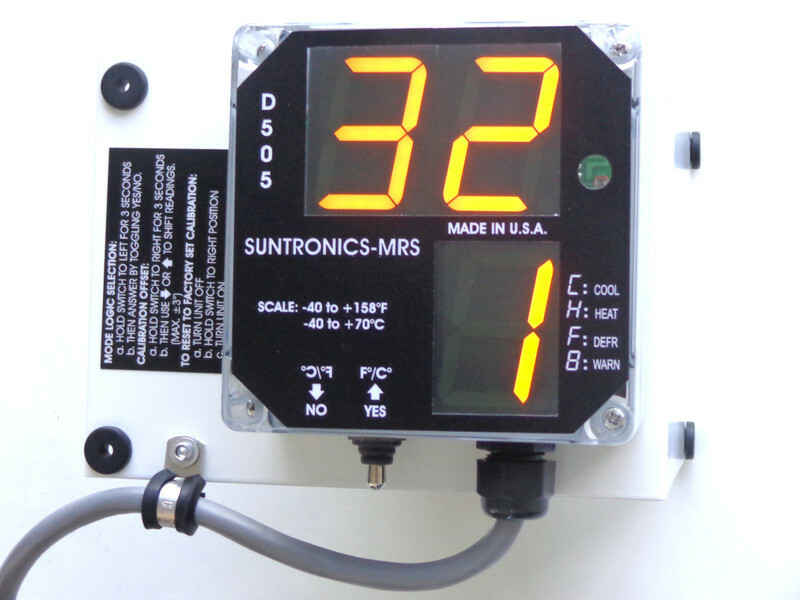 Suntronics MRS, Inc. created the D505 Temperature and Reefer status display as a successor to the D502 to provide the temperature sensitive transportation industry with a convenient form of monitoring its cargo. The driver is able to monitor the display via the rear view mirror while driving, eliminating the need to make time consuming stops along the way. User reversible display reading allows viewing for the driver via the rearview mirror and it could be set for direct viewing to allow monitoring by the yard personnel when parked. 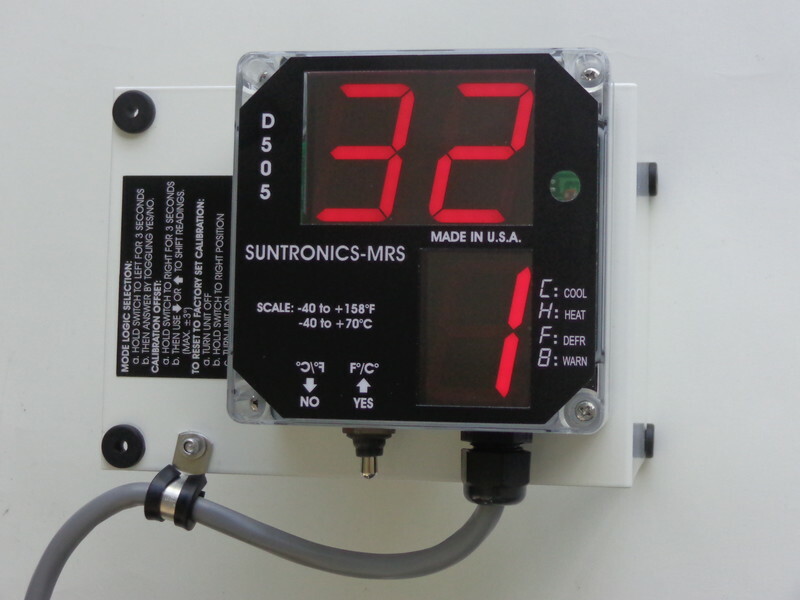 Three sensor inputs allow multi location monitoring. Reefer mode inputs for cool, heat, defrost and alarm.